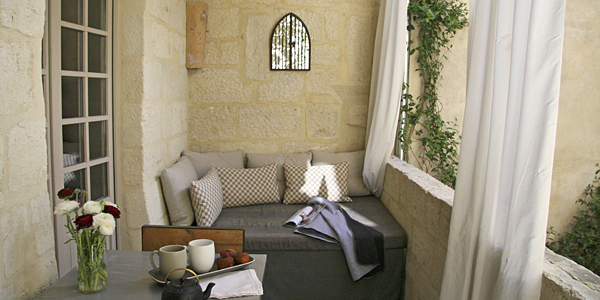 This grand old house turned adults-only B&B is tucked away in the heart of Uzès, a magical medieval town with the best market in Provence. 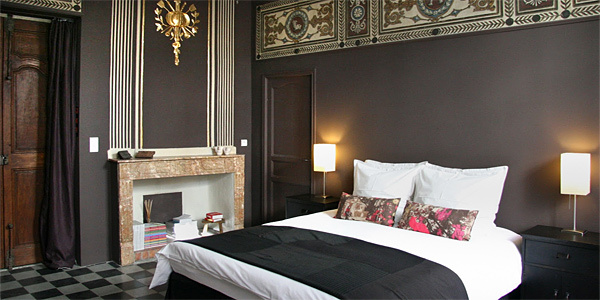 L’Albiousse stands on one of the oldest streets in town, but don’t be fooled by the unassuming exterior; inside is a remarkable display of vaulted ceilings and gilded bedrooms that show off the best of Uzès’ historical architecture. It’s not just Uzès that’s bursting with charm and character, though – the whole of Provence is awash with it. 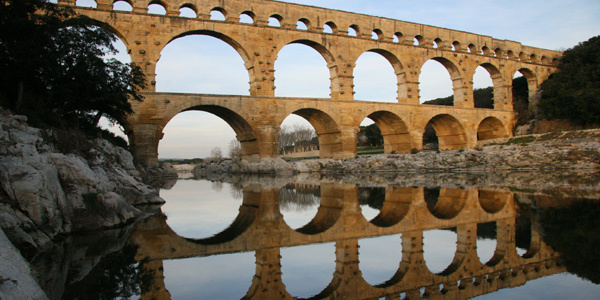 There are lavender-lined fields and beautiful vineyards to explore, as well as the magnificent Pont du Gard – a towering Roman aqueduct which is now a dedicated World Heritage site and sits only a short distance from the B&B. 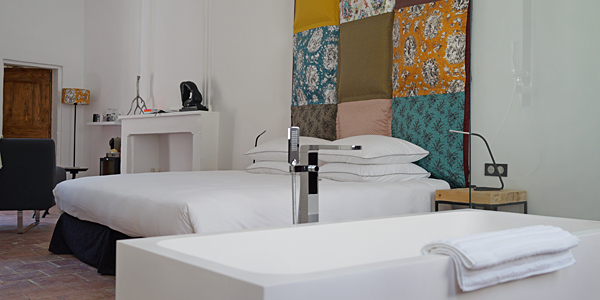 Rooms: L’Albiousse only has 5 rooms in total, but all are utterly divine. 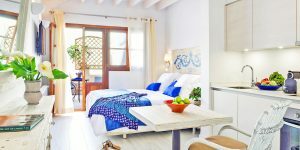 The Terrace Suites are a particular triumph: a little larger than the other rooms, they have bigger beds, coffee machines, Apple Macs for movies and music, and small private terraces. 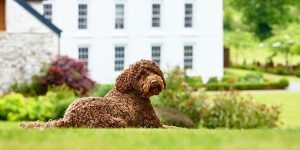 That said, the smaller options are also wonderful and in lots of hotels they’d be the best spaces in the house, so you can book them knowing you’ll still get something special. While all rooms are equipped with 21st-century comforts, the interior design is specifically intended to sweep you back a few hundred years to the days when the house was built. Period colours mix with old stone walls, and you’ll even find the odd mural dotted about. Food: Owners Gwilym and Alexis used to own a restaurant in Paris and a couple of times a week Gwilym dons his whites to cook at the B&B (by prior arrangement). His food is delicious – expect carrot and chestnut soup, fillet of salmon in a lemongrass sauce, or a fantastic Thai curry. 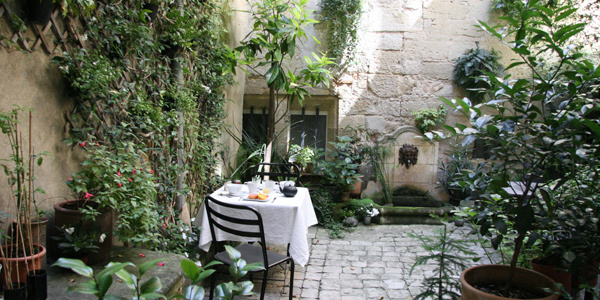 Uzès also has some excellent restaurants for all palates and budgets (from friendly bistro Le Bec à Vin to Michelin contender L’Artemise), all within easy walking distance of L’Albiousse. And breakfast is a delight, particularly when it’s served in the courtyard during the warmer months; the lavender-scented fromage blanc was a stand-out Provencal treat. Top Tip: To get here, take the Eurostar out of London, change at Lille, then whiz down to Avignon – a 6-hour trip in total. It’s a much calmer way to travel and you get to see where you’re going. You can hire cars at Avignon TGV station from all the usual suspects.